Note: The site is now called clock.fyi. It was originally called today-now.com, then it moved to itime.io before settling on its current name. Your browser’s home page should be something that is useful, even when viewed repeatedly. In my case, I wanted a page that would display the current time: a web clock, if you will. I don’t need it to be accurate to the second, but I do need it to be as accurate: it needed to conform to the NTP standard so that it was never running fast or slow. 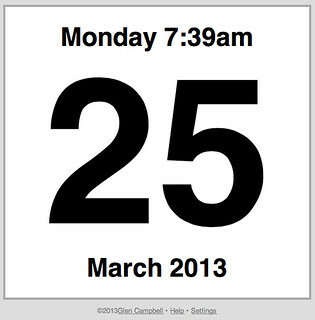 The result is clock.fyi, a simple little site that displays the time and date. It has features for customizing the appearance, and though the time only updates every 20 seconds or so,1 it is as accurate as the server’s client’s clock.